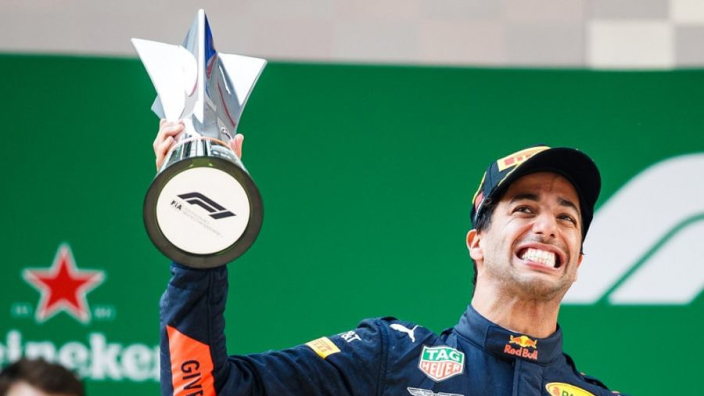 A beaming Daniel Ricciardo was typically entertaining as he toasted a spectacular victory at the Chinese Grand Prix, summing up his heart-stopping overtake on Valtteri Bottas for first place: "Sometimes you just have to lick the stamp and send it!" Benefitting from soft tyres after a safety car bunched the field together, Ricciardo raced from fifth to first place inside 10 laps. A bold dive down the inside of Lewis Hamilton was followed by an even more incredible manoeuvre to take first place from the other Mercedes. 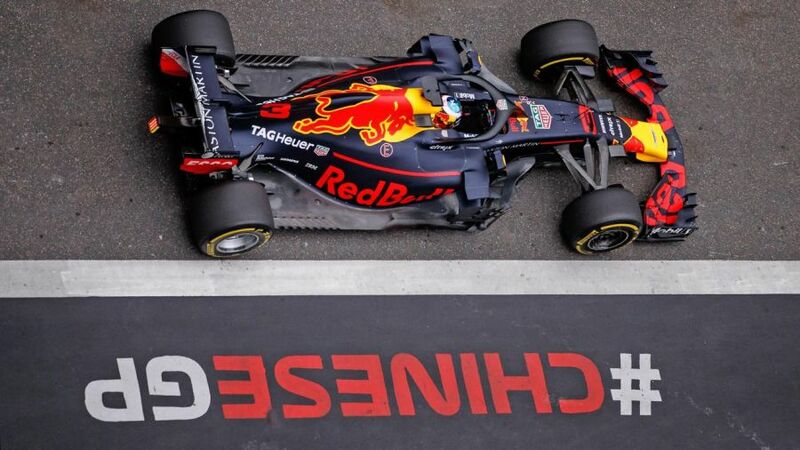 From what looked an impossible distance, Ricciardo used all the extra grip from his newer, softer tyres to jump into a miniscule gap, which Bottas did well to keep open enough and keep both drivers in the race. Ricciardo's sixth F1 win follows a familiar pattern - he has never won a race from inside the top three on the grid - but the Australian was thankful after a blown turbo on Saturday almost threatened to keep him out of qualifying. "I don't seem to win boring races. That was unexpected," Ricciardo said on the podium. "24 hours ago I thought we may be starting at the back of the grid. Thanks to the boys, today is the real reward for that. The mechanics worked their butts off. "I heard Safety Car in Turn 14 and was told to box. It was very quick but very decisive, winning moves from the team." The winning move was fitting after Ricciardo had spoken in the build-up to this race about Bottas' failure to get past Sebastian Vettel on the last lap of the Bahrain Grand Prix a week prior. Ricciardo said he would have made the move that Bottas was unable to, and was happy to have put his money where his mouth is. "Sometimes you just have to lick the stamp and send it. I enjoyed it very much. I knew on the soft tyres I could get more out of the braking. "A lot of the time you get one chance to try so I make the most of every opportunity."